Ascension Day is traditionally a holiday in the Netherlands. The following friday, though officially a working day, is often bundled to link to the following weekend as a four day leave. Museum societies take the opportunity to display their work and attract people. 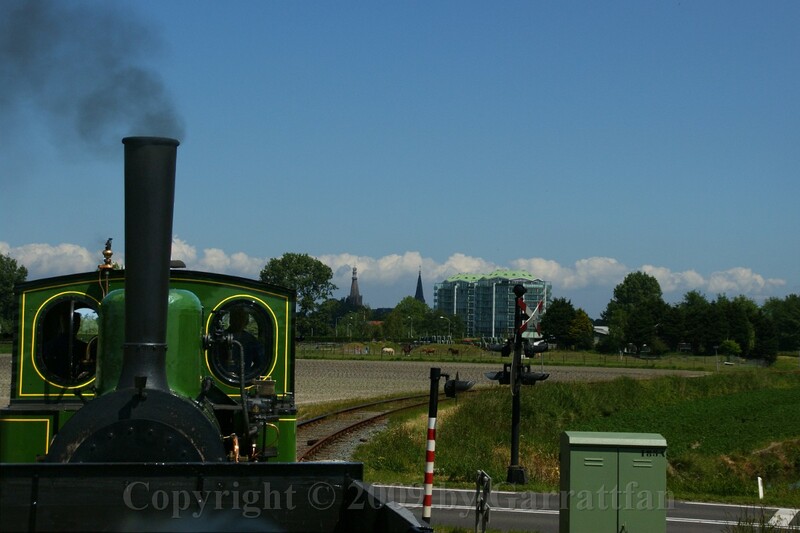 Such was the case this Ascension weekend in 2009 at the Museum Tramway Hoorn Medemblik. 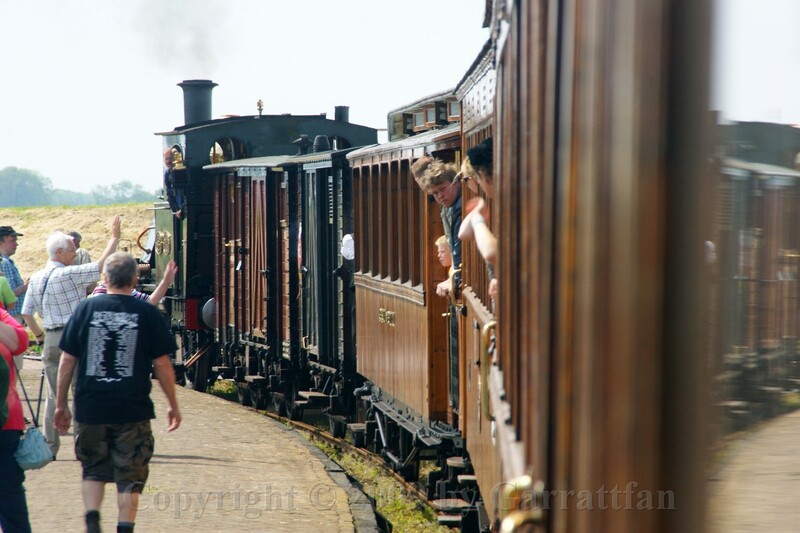 Extra tours and special historic programms were staged under the motto "Stations under steam"
2 Since my visit last year considerable progress has been been on the 6513. 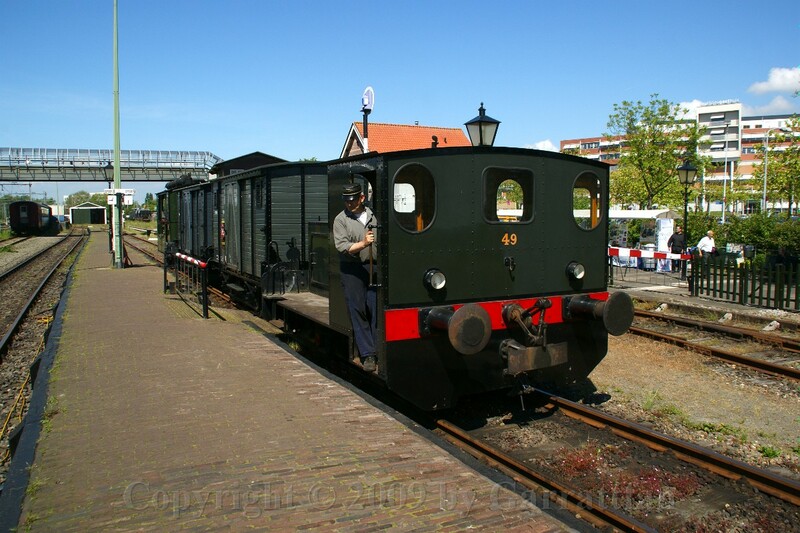 The Dutch Railways owned 12 loco's in the 6500 series. They were bought from standard stock design, type "Victor", from Hohenzollern. 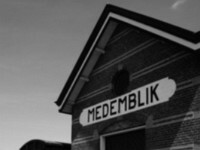 All examples were scrapped in the thirties. 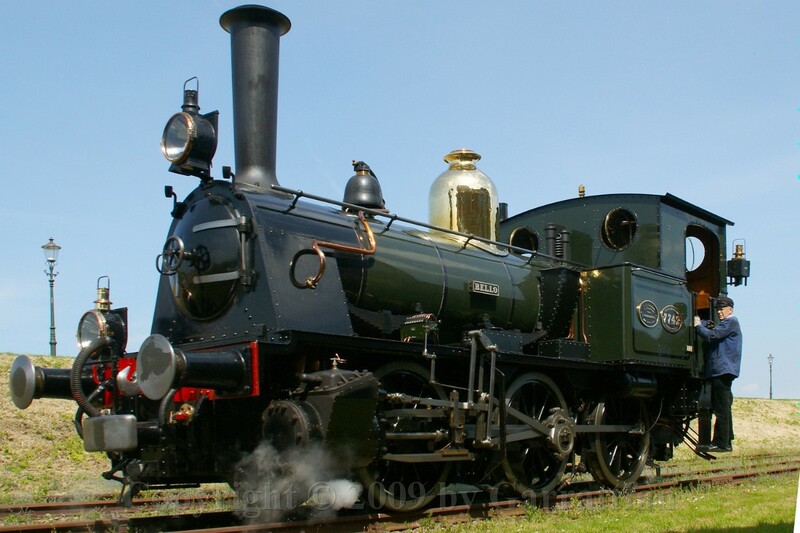 This loco, built in 1888, served its working life in Germany and is technically identical to the 6500 series loco's. It will be restores and subesequently numbered 6513. 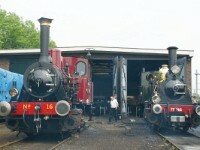 6 The shunter and the shunted. 7 Tramway loco no 18, "Leeghwater", one of the very few surviving "box" locomotives. 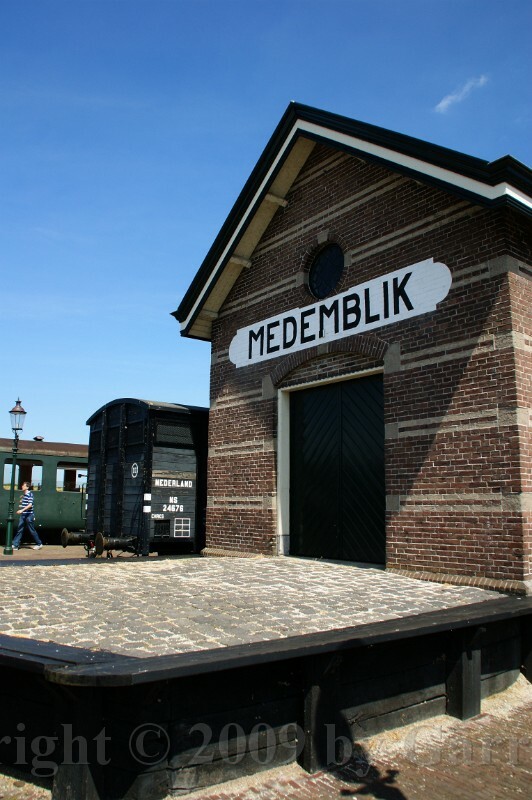 It originally served as a tramway lcomotive at the Goois Tramwegmaatschappij in the Hilversum area. 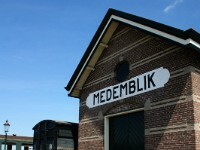 It was built in 1921, rather late, since the heydays of tramways were already over, and this is especially so for the outdated box design. 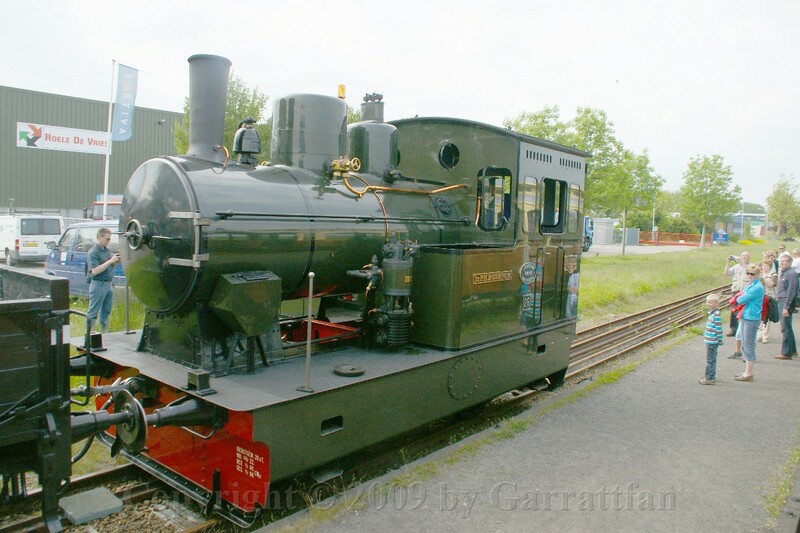 This loco is probably one on the last box loco's built. 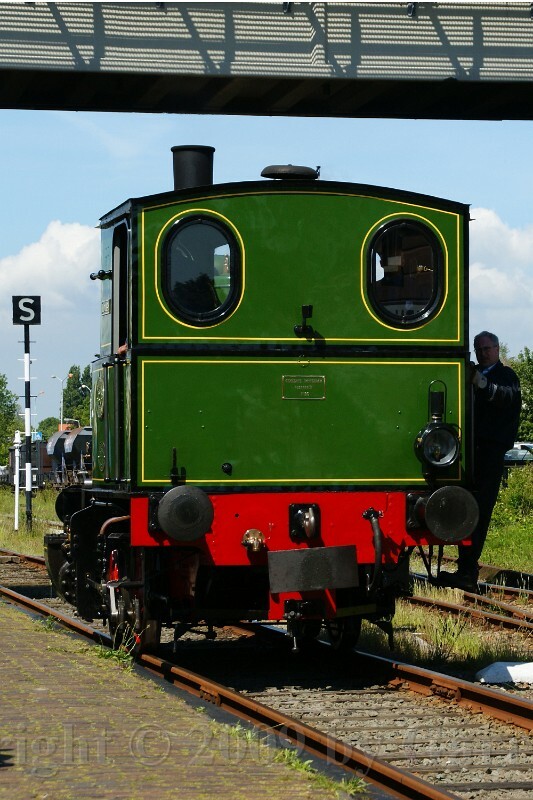 After ending operation on the GS it eventually earned its bread of charity at a sugar plant as a shunter. Weighing only 15 tons this nasty little thing delivered 2700 kg drawbar power. 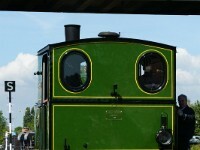 This loc really amazed the people of the Bluebell railway for it’s pulling power. Also it’s top speed is significant. 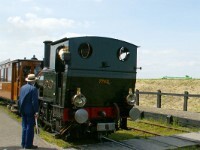 9 All normal equipment is postioned on the side of the loco. 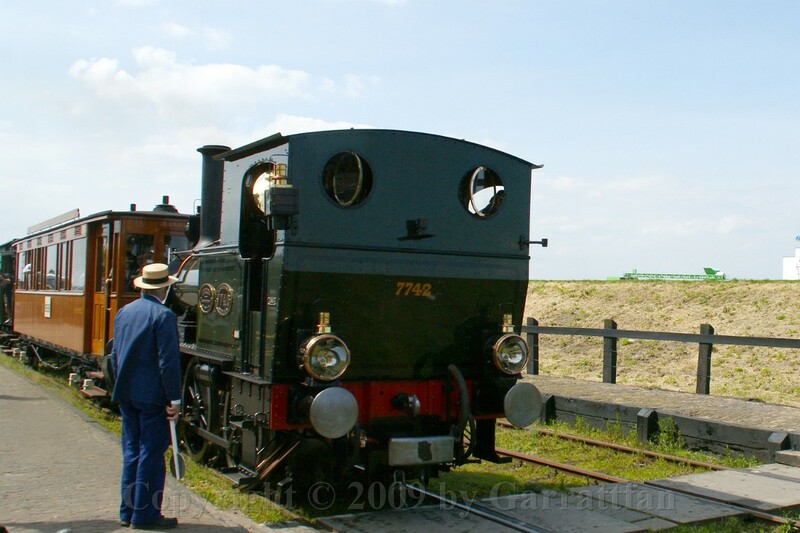 Most of these loco were arranged to operated from either front, always allowing the driver to stand at the front. By no meand a luxury whereas these trams often crossed roads and very often whole stretches were embedded in the road and the tram had to share available space with the increasing road traffic. 10 The upper panel commemorates the sugar factory from which the loco passed on into preservation, the lower is self explanatory I suppose. 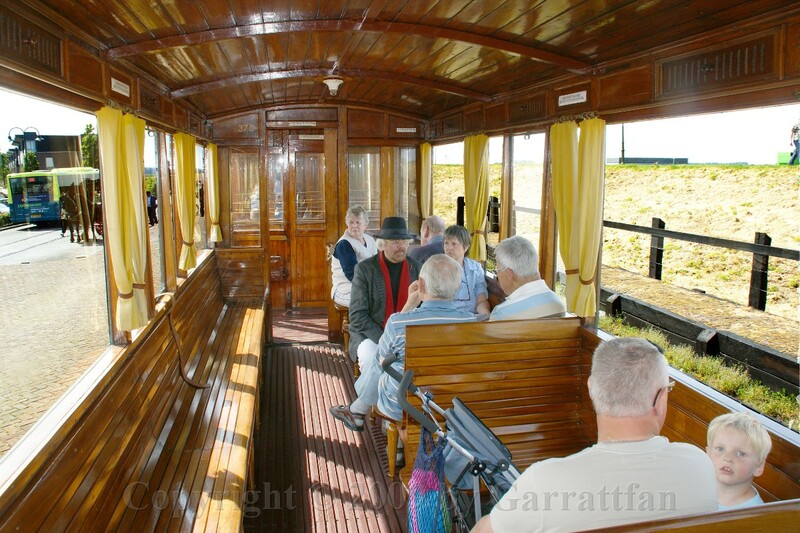 14 The carriages (coaches for our American friends) are Swidd hand-downs. 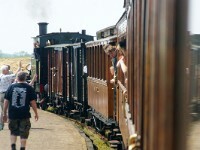 When I travelled Switserland in the seventies I actually was on them in their last years of active service!! 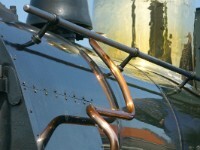 20 Brass slide piece bolted to the radius rod. 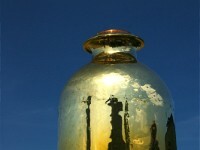 The brass piece slowly wears down and is replaced during maintenance. The wire prevents the bolts to work loose. 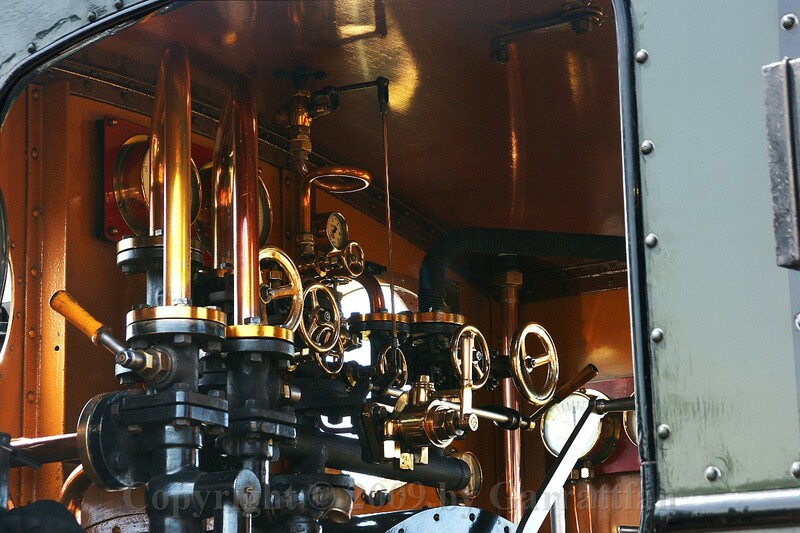 23 The valve for the steam-heating of the coaches. This is the model used for “normal” coaches. 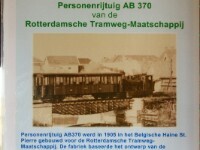 There is a version as well for tram-coaches. 24 We set off at 12:45 and halted at every station. At each there was something to see or do. 25 Like original traditional clothing. The little purse the lady is wearing is hand knitted with some 20.000 beads, costing some 200 hours to make. The gold looking thingies in her cap, brooch and necklace are actually gold. 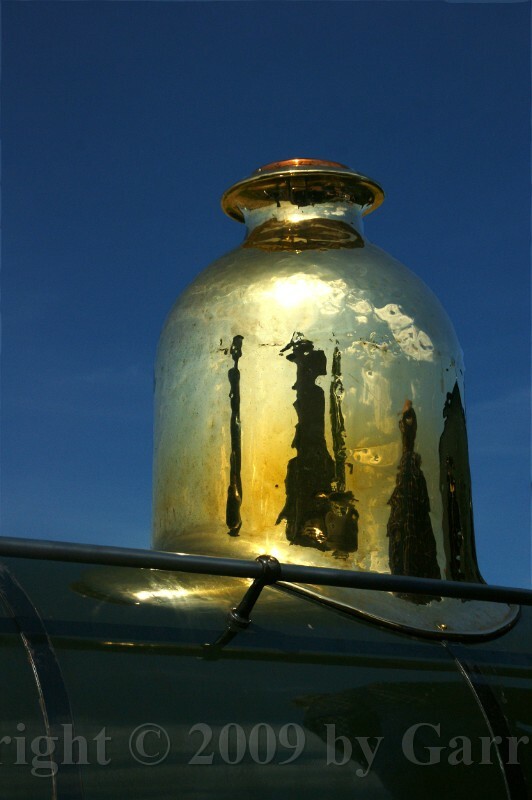 A gold cap ment her husband was an independent (and rich) farmer. The lady showed her whole set of clothing which was no less than impressive. The whole set weighs ten pounds!! 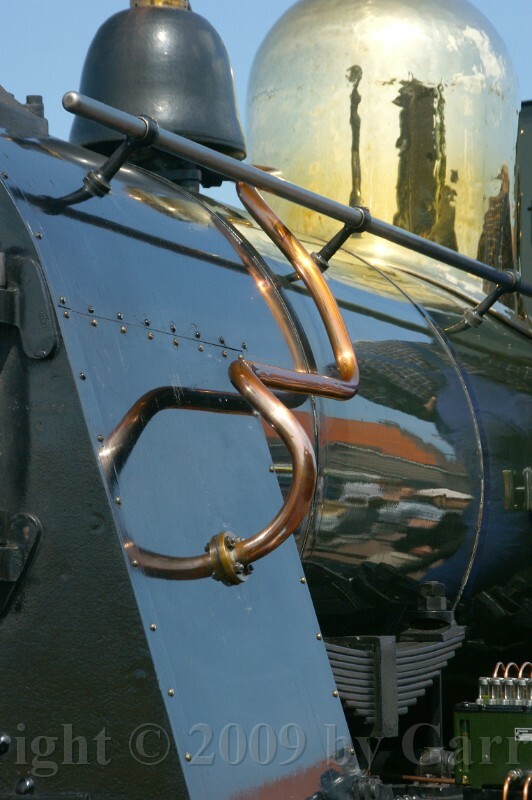 26 O yes, mesmerized by steam, I forgot to mention that the weather was exceptionally fine. Some 20 degrees Clesius and a fair wind. 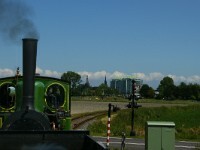 27 Approaching Midwoud-Oostwoud. In the distance another tram is awaiting crossing. 29 Carefully watching to assure safety. 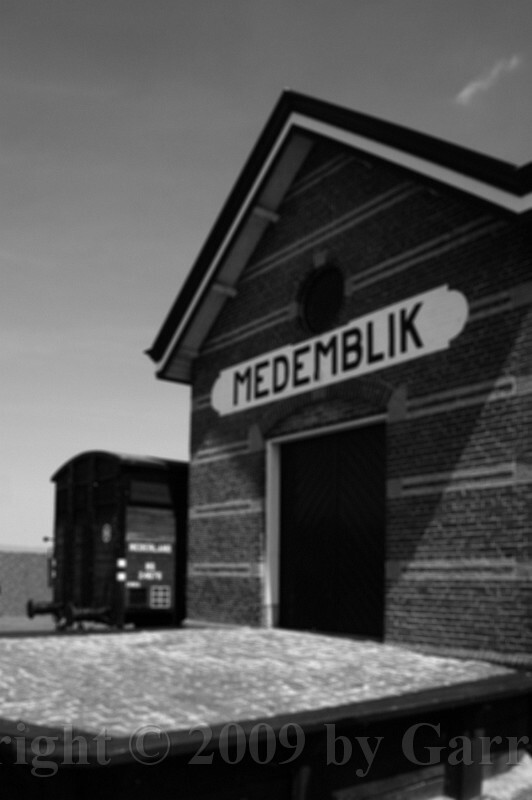 Though museum trams seem to operate loosely, safety is always paramount. 44 Now, is he having a good time or not? 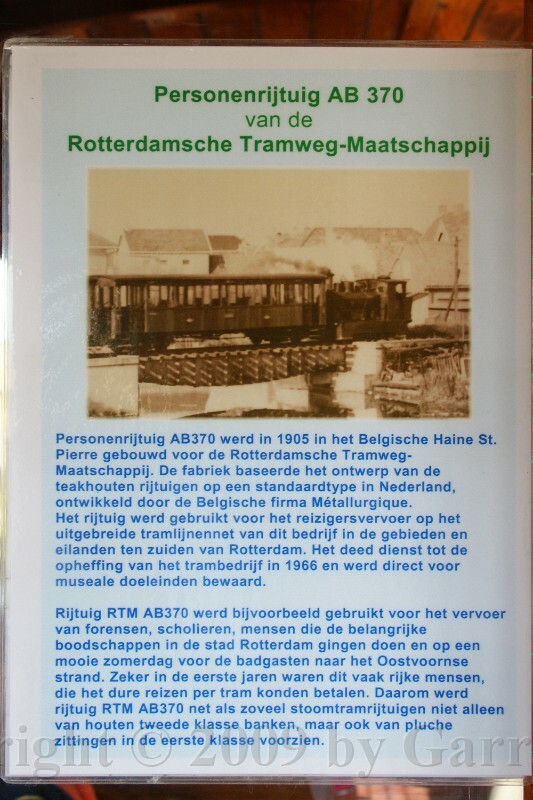 of the Rotterdam Tramweg Maatschappij which had to serve villages of no wealth whatsoever. 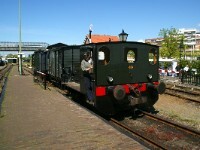 56 RTM AB 395 (“cape gauge” 1067 mm). 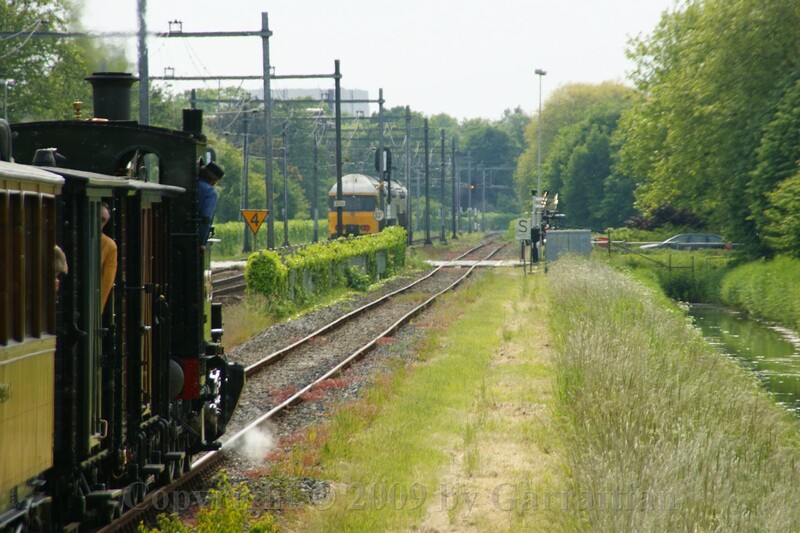 The RTM used to run along a few hundred meters away form my parental home. I saw them a lot until operations ceased in 1966. 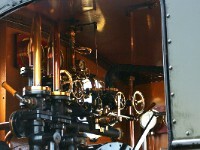 61 Speaking of gear: Stephenson's valve gear, with its complex radius link motion. 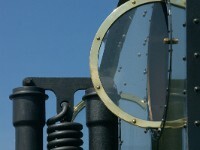 The bit of metal to the left of the crosshead is a modern day improvement to the valve gear. 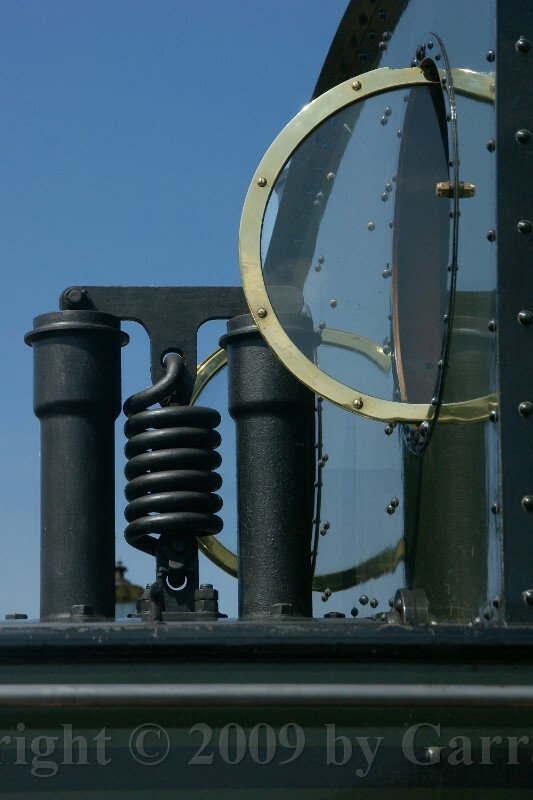 This keeps the side-play in the very long Stephenson valve gear at bay, thereby reducing the wear and tear to it. 68 Taking water. 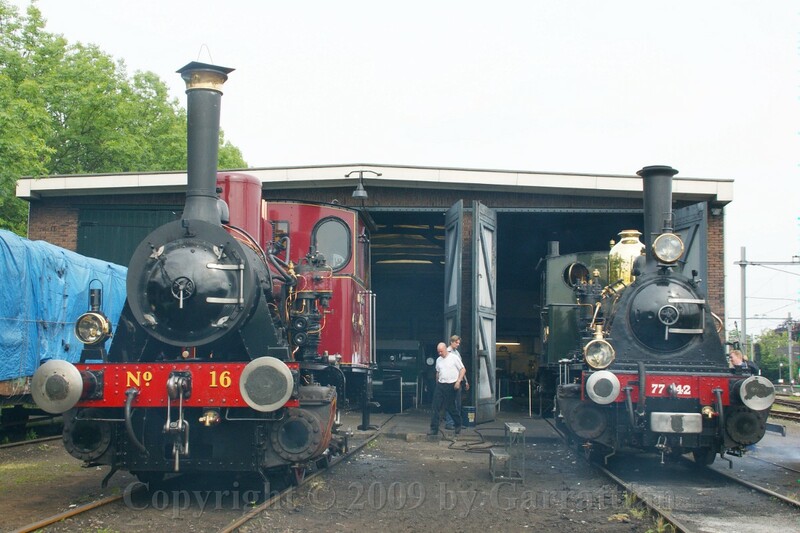 Here you can see both the normal and tramway couplers/buffers. 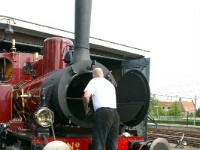 The pipe starting slightly above the footplate is the pipe for the vacuum-braking. 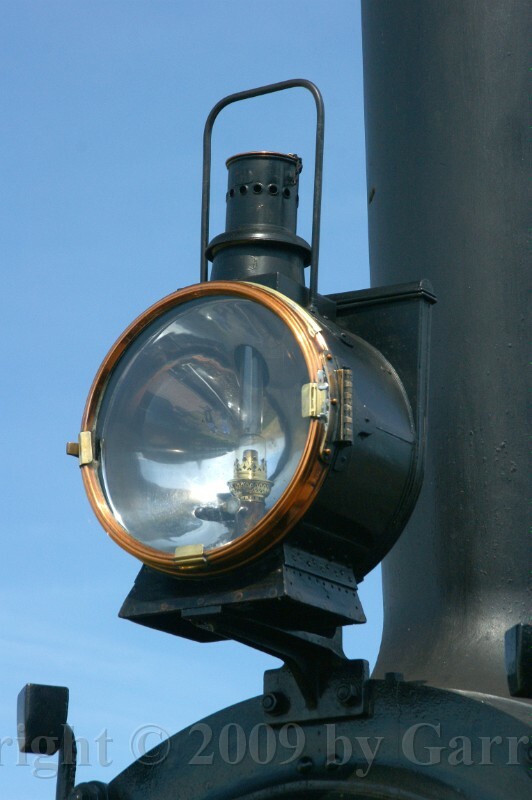 This was used during the visit Bello made to the Bluebell. 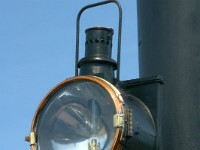 The head-light are now displaying “shunting movement”. Once in front of the train the rear light will go to the front as well. 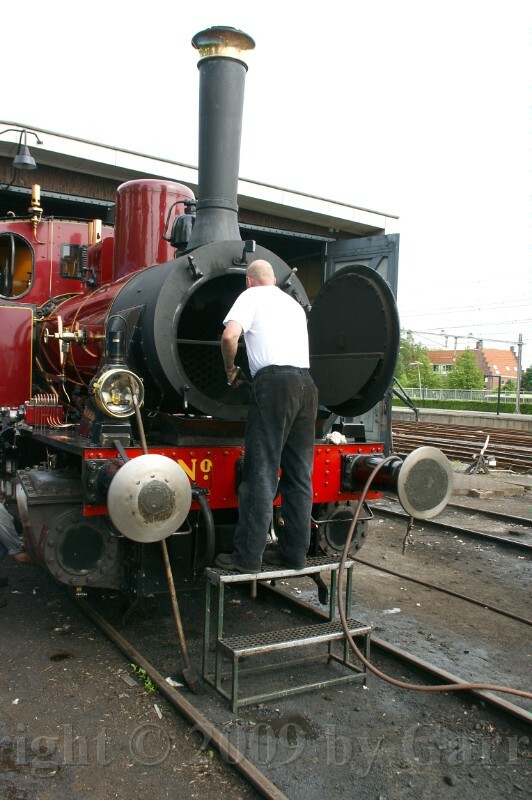 71 Topping up the oilpot on the coupling-rod. 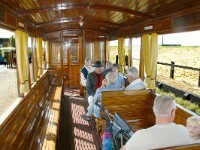 77 Second class, no sptting, 29 seats. 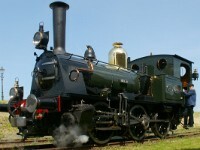 85 Loco no 16, relatively young: built in 1943 by Jung..